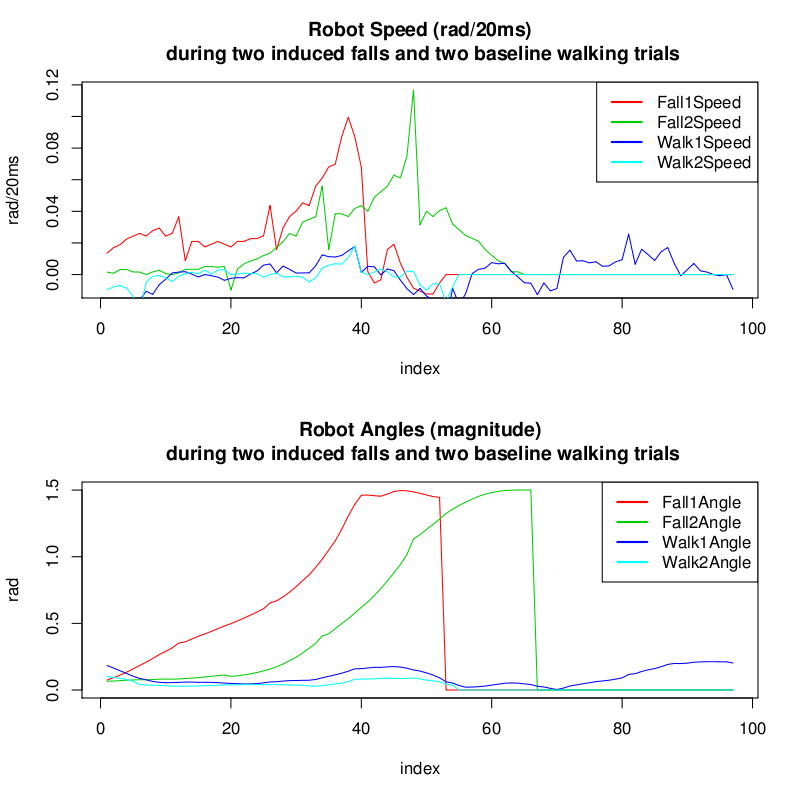 We graphed the robots angle and angular speed with respect to the ground to decide how to determine when the robot is falling (in order to turn off the motors before impact). 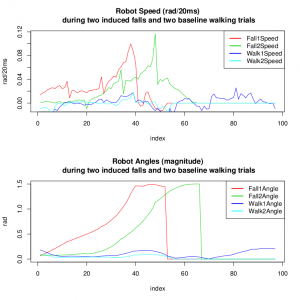 We ran 2 trials where the robot was purposefully pushed over, and two trials when the robot was walking (as a baseline). This entry was posted in RoboCup on April 18, 2009 by Joho.